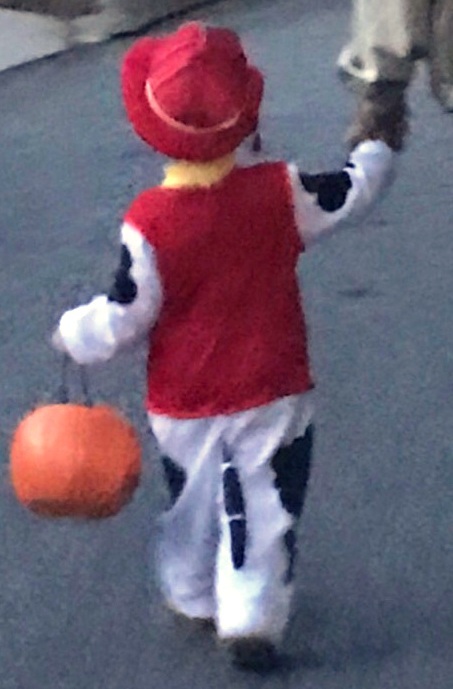 My three-year-old grandson understood “Trick or Treat” this year. After a drive to visit grandparents, his Mom and Dad walked him around his cul-de-sac and he rang neighbors’ doorbells for his treats. After a few houses, his Mom told him he could go to two more. I suppose his little three-year-old legs got tired. My friend April White and I finished a manuscript and proposal a few months ago. We encouraged each other and shared the hard work. She called it grunt work. (http://redchairmoments.com/celebrate-grunt-work) Reading the words from our hearts and minds put to print, gave a sense of accomplishment. Moving into house or apartment is hard work. Once boxes are unpacked and contents arranged, we see a house take on our personality and it feels like home. Getting along with difficult people is hard work. Showing kindness and offering a gentle response to a harsh word, gives us peace even if the recipient doesn’t respond the same way. Looking for employment is hard work. Job interviews give us practice and we learn perseverance. We learn the art of interview and more about ourselves each time. Grieving is hard work. Moving through sorrow and tears stretches us, but healing comes with each wave of grief as we know God’s comfort. Waiting is hard work. As we wait, we often discover the process is often more valuable than the outcome. Yes, it’s all hard work. My Dad’s sage advice to our family was, “Do the hard work and do it with excellence. You’ll have a reward for it—even if others do not recognize it, you will have personal satisfaction and a sense of accomplishment.” One of his letters to me in college reminded of that when I was discouraged. My sweet grandson had a pumpkin full of candy as a reward for his “hard work”. Sometimes, our sweetness comes from encouraging friends and perseverance. And, for me, the sweet treasured words from my Dad still resonate. Years later, I realize he paraphrased Proverbs 13:19a (ESV): The desire accomplished is sweet to the soul. How do you view hard work? What’s been your reward for hard work? I’m in the hard work of waiting right now, and your words encourage me. Thank you! I'm waiting too and yes, it is hard work.